Usually, when a shiny new gadget arrives via horseback at JR Raphael International Headquarters, I summon up my inner Lewis and Clark. There's a certain sense of discovery, after all, in powering up something unknown and diving in to see what it's like to use. 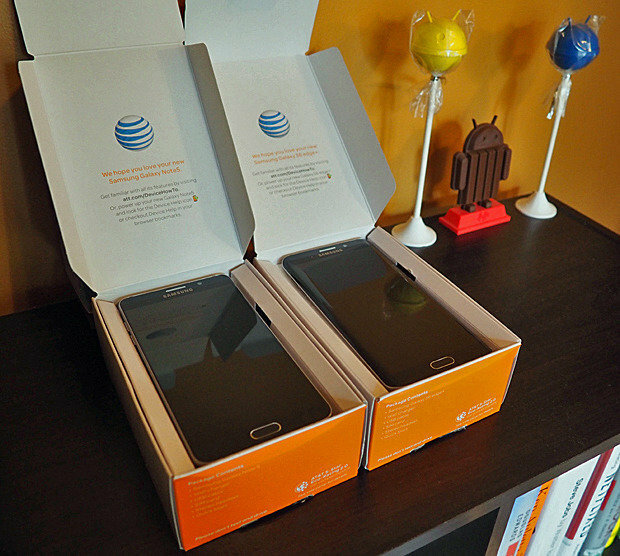 When the Galaxy Note 5 and Galaxy S6 Edge+ showed up at my dusty stoop, however, the feeling was a little different. As it turns out, Samsung's Next Big Things are -- well, pretty much the same as the last ones. Don't get me wrong: That's not necessarily a bad thing. People appreciate having phones with different size and feature options, and Samsung's current blueprint for its devices has no shortage of compelling qualities. But there's no denying that -- as I put it on social media -- the Note 5 and S6 Edge+ are basically two big Galaxy S6 phones, one with a stylus and one with a curve. So that was my conundrum coming into this process: How much could I really say about two devices that are essentially remixes of existing models? (Formulae: Note 5 = Galaxy S6 blended with Note 4; S6 Edge+ = regular S6 Edge, enlarged.) Particularly when the phones' software, cameras, and overall designs are so similar to what we've seen before, it's tricky to muster up a sense of excitement and find genuinely new observations to make. The closest I'll ever get to doing a public "unboxing"
This latest Note is a whole different kind of animal. It's still big and powerful, but so are countless other smartphones these days -- including the Edge+ that's launching alongside it. That in and of itself no longer feels unusual. And with Samsung carrying over its newfound focus on design from the regular S6, niche-targeted features like a removable battery and microSD card slot are no longer part of the conversation. The beast has been tamed, so to speak; in ditching its attempt to pack in everything under the sun, the Galaxy Note has gained elegance and panache. And you know what? That, to borrow a line, changes everything. In a way, it almost feels like this is Samsung's true flagship of the year -- the hero phone the company hopes will appeal to the smartphone-shopping masses (even if it isolates some of its former cheerleaders at the same time). While it is essentially a big Galaxy S6 with a stylus thrown in, that perspective is all relative. The more I use the new Note and notice the inconspicuous enhancements it introduces into the equation, the more the regular Galaxy S6 is starting to seem like a scaled-back and less complete version of this device. Subtle as it may seem, that shift speaks volumes. So is this beefed-up stylus-toting phone truly a better rendition of the regular Galaxy S6? Are the tradeoffs Samsung made in the name of design worthwhile in the end? And could this polished-up Note offer enough to stand up to its numerous plus-sized competitors? Those are the questions I'm trying to figure out as I use the phone in my day-to-day life. And they're similar to the questions I'll be tackling as I examine the Edge+ and consider whether a large Galaxy S6 with a curved screen actually makes sense from any practical perspective. Even with the phones being so similar to Samsung's existing models, there are some questions you can't answer until you've carried the things around and lived with 'em for a fair amount of time. My real-world reviews will be online soon.